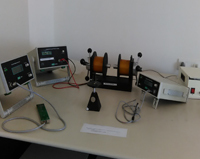 Physics lab is well equipped for students to perform different experiments. Major equipments are Ultrasonic interferometer for liquids, Ultrasonic interferometer for solid, Planck’s constant kit, Dielectric constant kit, Forbidden energy gap kit, Lattice dynamics kit, Stefan’s constant kit Boltzmann constant kit, Hall effect experimental setup , Young's Modulus setup, Fiber Optics kit, CRO etc. 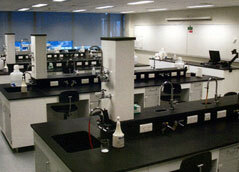 All the practical available into the syllabus can be performed in this lab. Copyright ?2012 GIDC Degree Engineering College.